However, given the vast divergence between their respective models, the chances for a quick breakthrough appear bleak, especially since India has recently overhauled its 1993 model with stringent conditions and narrow provisions. India’s new model text is miles apart from the 2012 US model BIT on fundamental issues. To start with, the definition of investment itself will be a major bone of contention. In any investment treaty, the definition of investment is of paramount importance because it determines what kinds of investment will be protected. The US model adopts a broad, asset-based definition that includes business enterprises, shares, bonds, debentures, derivatives, intellectual property rights, business concessions, contractual rights and moveable and immovable property. In contrast, India’s new model BIT adopts an “enterprise” based definition, confining it to foreign direct investment in the host state. An enterprise is defined narrowly as one having “real and substantial business operations” in the host state with “substantial and long-term commitment of capital” and engagement of a “substantial number of employees in the territory of the host state”. So an enterprise that carries out minimal business operations in the host country would not qualify for protection under the treaty. India’s model BIT excludes from its definition of investment portfolio investments, government debt securities, commercial contracts, goodwill and other intangible assets of an enterprise. And, unlike the US model, India’s model only recognizes those investors who directly own and control an enterprise, precluding claims being brought by indirect or minority shareholders. A holding company would also not qualify as an investment entity. Even if the US adopts a more flexible approach, it will certainly insist on including intellectual property rights and portfolio investments (both equity and debt flows) in any definition of investment. Secondly, the US model includes a most favoured nation (MFN) provision, which India has completely dropped from its new model. Washington is unlikely to accept the exclusion of an MFN provision as it would debar US investors from invoking more favourable substantive protection standards contained in India’s other BITs. Thirdly, market access will be another bone of contention. The US government seeks strong market access commitments through pre-establishment of national treatment (NT) while India’s new model and its existing treaties to date only provide post-establishment NT with exceptions. India maintains the right to screen foreign investors prior to their establishing an investment presence in the country. Fourthly, the US model allows investor-state dispute settlement (ISDS), under which investors can directly bring a claim before an international arbitration tribunal against the host state for alleged breaches of treaty obligations. India’s new model requires an investor to exhaust all local remedies (judicial and administrative) before initiating international arbitration. For India, ISDS is intended as a last resort should all domestic courts, arbitration processes and negotiations fail. Nor does India’s model allow international arbitration tribunals to re-examine any legal issues settled by a judicial authority in the host country. Fifthly, the US model contains detailed provisions on environment and labour standards, while India has always opposed such standards at the WTO and bilateral agreements. It remains to be seen whether India will accept these provisions under the proposed India-US BIT. The Indian model deals only with disclosure and anti-corruption provisions. 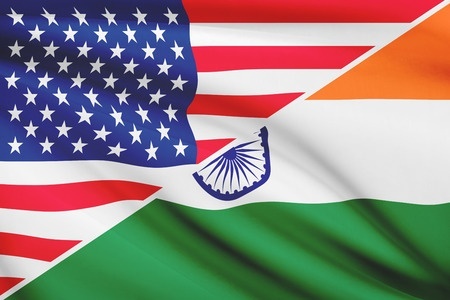 Lastly, the US may not agree to India’s proposal to keep outside the framework of the proposed treaty intellectual property rights (including compulsory licenses), taxation matters and measures taken to ensure financial and macroeconomic stability. Does all this mean that no BIT between US and India is possible? It must be acknowledged that the two countries may find common ground on transparency issues, state-to-state dispute settlement mechanisms, investor and host country obligations, and conduct of arbitration tribunals. Identifying common ground is usually the first step in the negotiation process. Any BIT is based on the principle of reciprocity. If India agrees to US demands, one must ask what India will get in return. The same is true of the US. Both parties will have to cede considerable ground to conclude a mutually acceptable BIT within a reasonable time. The negotiations are not going to be a smooth affair, despite the strong personal rapport between Obama and Modi. This piece first appeared in beyondbrics blog of Financial Times on January 26, 2015 with the headline: India / US bilateral investment treaty will be no easy ride.